OXFORD, Miss. – Ole Miss is back at home Tuesday night (8:00 p.m. CT, SECN) to face a No. 11 Auburn team that is riding a three-game winning streak. The Tigers have not lost since Jan. 17 at Alabama. 12.9 ppg in SEC play. In the first meeting between the two earlier this season, Tigers’ head coach Bruce Pearl’s team got the best of the Rebels after Auburn rallied from a 45-35 halftime deficit. Since that win, the Tigers have won four of five games, all by double figures. This game promises to be challenging for the Rebels, who face two ranked opponents this week. Ole Miss (11-10, 4-4 SEC) will visit No. 18 Tennessee Saturday afternoon. Ole Miss has won 10 of the last 11 meetings against the Tigers, and under head coach Andy Kennedy, the Rebels are 15-6 against Auburn. But by the numbers this season, the Tigers are a very complete team. Auburn leads the SEC in multiple categories, including scoring defense (86 points per game), scoring margin (+13.8), free throw percentage (.785), offensive rebounds per game (12.8) and 3-pointers made per game (10). The Tigers (19-2, 7-1) also have two legit scorers in Bryce Brown and Mustapha Heron. Brown leads the team with 16.3 points per game, while Heron is averaging 15.3 points per contest. 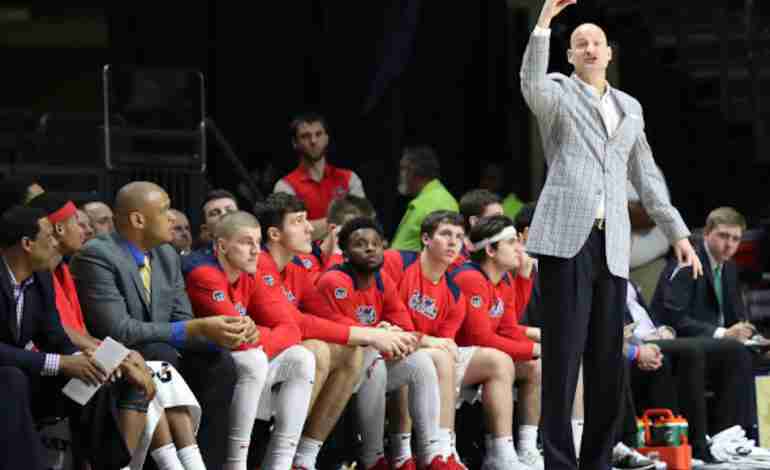 A win for Auburn would keep it atop of the SEC standings, while a win for Ole Miss would definitely help keep the Rebels’ postseason hopes alive, as the Tigers are ranked No. 6 in the latest RPI rankings. 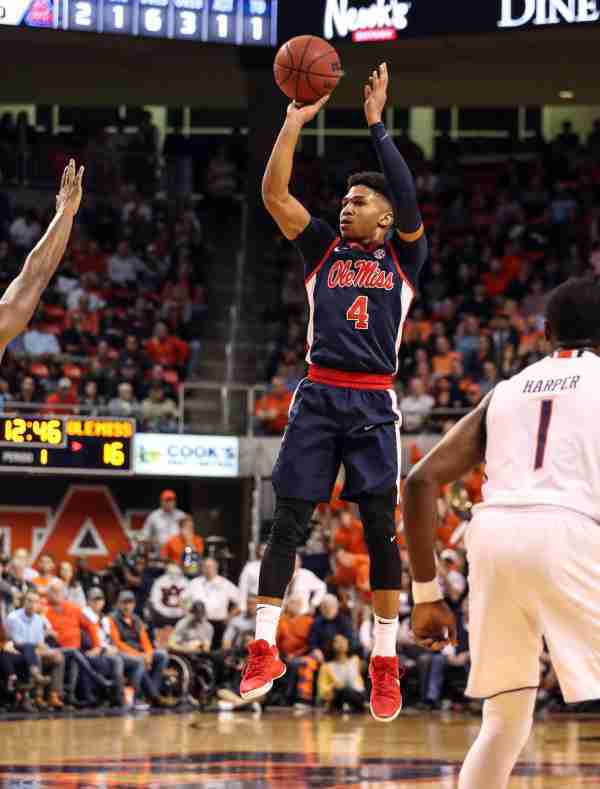 The first time the two teams met this season, Ole Miss had to play without senior guard Deandre Burnett as he was dealing with an illness. His presence was definitely missed. The Rebels made 22 of 65 shots from the field, including 8 of 29 from 3. Burnett has scored in double figures in eight of the team’s last 10 games. He has been the most consistent player on offense for an Ole Miss team that is coming off a 39.1 percent shooting effort against the Texas Longhorns. 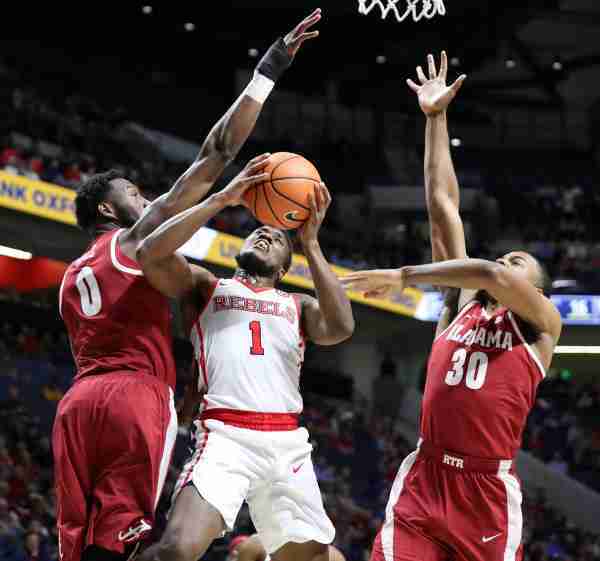 Terence Davis and Bruce Stevens fouled out for the Rebels in the first meeting between Ole Miss and Auburn, while Breein Tyree and Justas Furmanavicius each had four fouls. Marcanvis Hymon and Dominik Olejniczak each had three. As a result, Auburn was able to get to the foul line, where the Tigers made 29 of 37 shots. Ole Miss staying out of foul trouble will play a huge part in the Rebels’ chances of getting this win at home. The Rebels won the offensive rebounding battle in the first meeting, 18-14. Ole Miss will need to win this battle again. The Tigers are averaging 12.8 offensive boards per game, which leads the SEC. 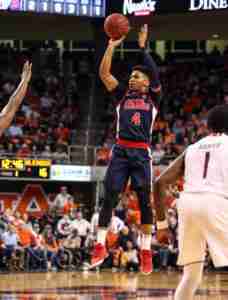 Ole Miss and Auburn tip off at 8:00 p.m. (CT) in The Pavilion at Ole Miss. The game will be televised by the SEC Network, with Dave Neal handling play-by-play duties and Daymeon Fishback serving as analyst. Promotions: The first 1,000 fans receive Mt. Rushmore collectible featuring Marshall Henderson. Additionally, fans can meet the No. 9 ranked Ole Miss baseball team.